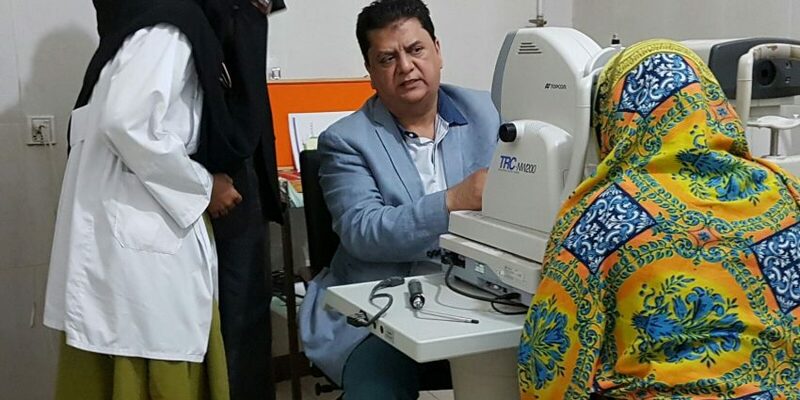 We are all well aware of the current state of affairs of the health system of Pakistan. APPS UK believes every individual has a right to be treated with respect and dignity by a competent doctor in a safe environment. We continuously strive to transfer our skills to transform the health services back home. If you have any ideas / suggestions and would like to be part of our team please contact us. 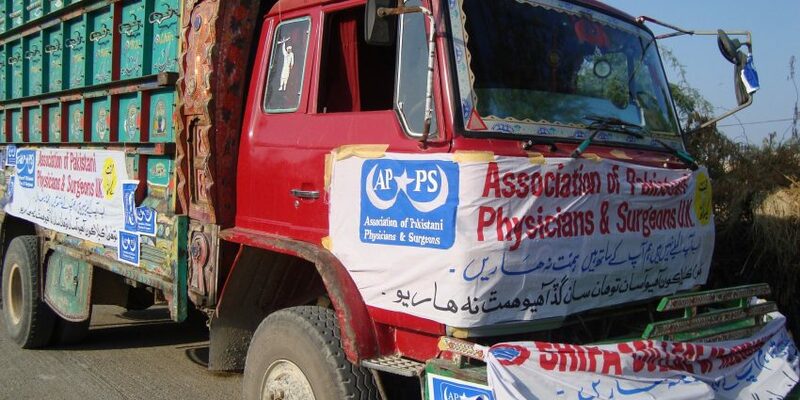 One of our main objectives is to raise health awareness amongst the communities in the UK as well as Pakistan. Prevention is better than cure!! We believe it is a doctor’s responsibility to educate the public about health issues. This is the only way we can alter pubic health-seeking behaviors and break the stigma’s attached to the health in our community. 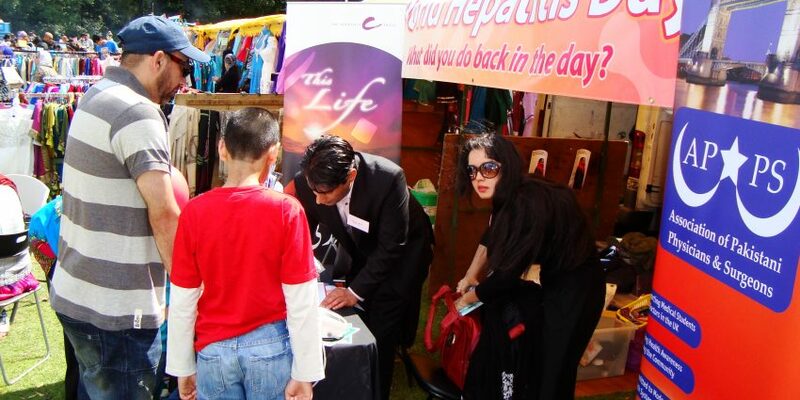 We produce leaflets, organise regular talks, set-up stalls and conduct heath awareness campaigns in Pakistan as well as at asian melas, schools and universities in the UK to provide health checks and health related information to the public. 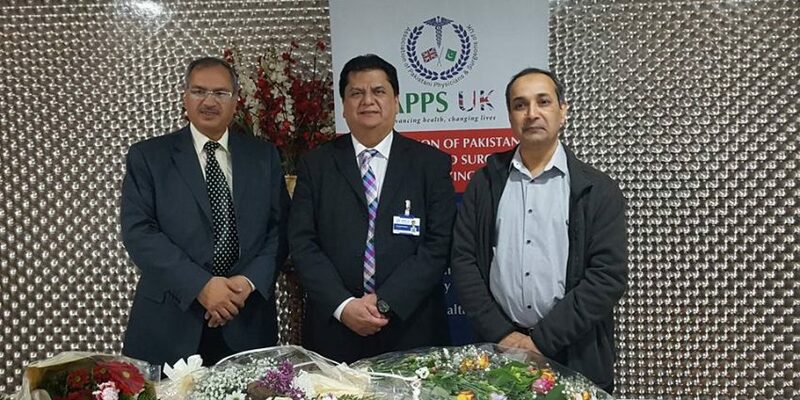 This programme help doctors and specialists in the UK deliver lectures to medical students and doctors in Pakistan while visiting the country or via live online link. The online lectures can be delivered from home or office with appropriate internet facilities. The audience can ask the questions live which makes it much more interactive. 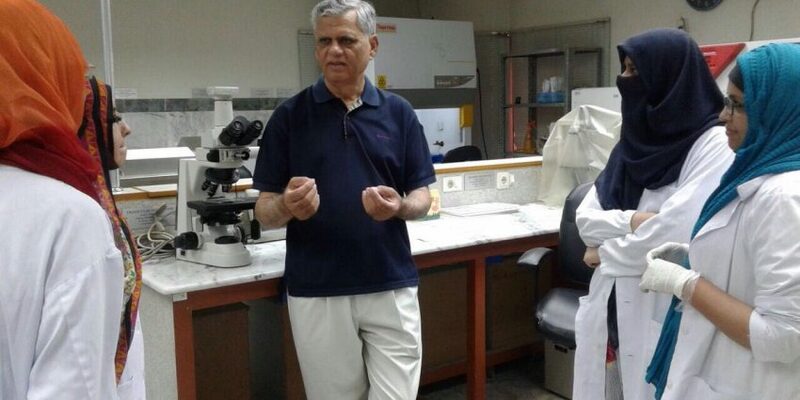 We have the facilities to link up with a number of medical colleges or hospitals at the same time. If you would like to be part of our faculty please contact us. The aim of this project is to provide state of the art primary care facilities to the remote rural communities in Pakistan. Our mobile health units will be fully equipped with medical equipment required by a family physician. It will be manned by a driver and a fully qualified doctor. APPS UK will provide initial training, guidelines, pathways and back-up support to this doctor so he / she can discuss any complex cases with a doctor in the UK at any time. We will recruit 2 doctors for each of the units who will work part-time and will be paid on a pro- rata basis with big incentives. The mobile unit will work for 6 days a week visiting 2 villages every day for about 2-4 hours each (depending upon the population) hence catering for 12 villages in a week serving a total population of around 25,000. All villages in the cluster will be made aware of the rota so if need arises an acutely unwell patient can be sent to the neighbouring village where the clinic is due to be held. The consultations will take place within the mobile health unit ensuring dignity and privacy of the patients. We will also consider the feasibility of using any basic health unit facilities that may already exist in some villages. Each consultation will be charged at a nominal fee of Rs 20 (less than 1.5 pence) plus cost of the medicines; however the most deserving poor families in the village will be issued with an identity card exempting them from all charges (consultation and medicine). The card will be issued to these families based upon the recommendation of the village head. There will be a designated co-ordinator in each village who will act as our liaison officer and will be responsible for keeping records of the patients attending and cash generated. This named person (or his named representative) will stay with the mobile unit throughout the duration of the visit (once a week for that village). The co-ordinator will identify and register each patient and take cash from them before they are seen by the doctor. Our driver will keep his own record of all consultations and submit this record at the end of the day including mileage done on that day. Any significant incidents will also be logged and reported to the Chief Operating Officer in Pakistan on a daily basis. Detailed records of all activities will be kept for monitoring and auditing purposes. This will help us identify any issues and help improve the service on an ongoing basis. We will issue medicine for acute medical problems for a maximum of 5 days and patients are expected to buy ongoing treatment as and if required. A prescription will be issued for medicines required to manage chronic medical problems (for example high blood pressure, diabetes etc). We will record all medical consultations in a file issued to the patient who will be advised to keep their file safe and bring for each consultation. An entry will be made by the doctors in these files at each consultation detailing clinical observations, diagnosis and treatment recommended. The doctor will be trained to briefly explain the medical condition diagnosed and the treatment proposed. This will help improve patients understanding of their medical condition. Any acutely unwell patient will be signposted to the nearby tertiary care facility. We will collect regular patient feedback and conduct spot checks to prevent abuse of the service and ensure consistent high standards of care. A complaints number will be displayed on the clinic so anyone can report any issue or log any complaints directly with the Chief Operating Officer or his named assistant in Pakistan. We will conduct comprehensive reviews of the project at 6 and 12 months before extending it further. In the first phase the above service will run during day hours and provide medical treatment. In the second phase the mobile clinic will also be used as a patient transporter during night time to transfer acutely unwell patients from any of the villages in the cluster to the nearby city hospital. We may need to recruit a separate night time on-call driver for this purpose. In the third phase we will recruit a nurse or lady health visitor to accompany the doctor as a champion of ladies and children’s health. The nurse will conduct antenatal checks, run health awareness and health promotion campaigns from time to time e.g. general hygiene, breastfeeding, stop smoking, contraception, vaccination etc. She will also help break the communication barriers between the doctor and female patients when a male doctor is on duty. In the last phase we will introduce electronic medical records. We will bring in tough book that is connected to the internet via a satellite. Software will be designed to enter medical records on the system which will be saved on a database and accessible to us in the UK. This will help us monitor the running of the project, the quality of care provided as well as analyse patient data so we can modify the service based upon population needs. 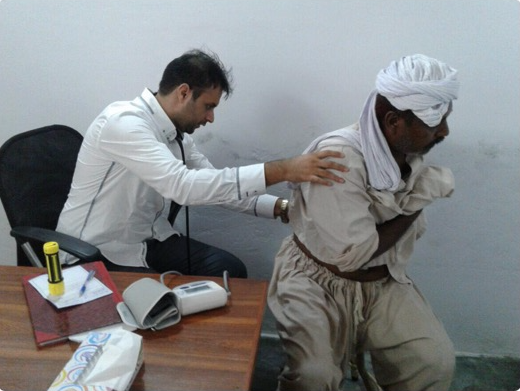 Our members conduct free clinics in Pakistan whilst on holidays. Members of APPS Executive Council in Pakistan facilitate this process by making all the arrangements on the ground.